MELVILLE, NY According to Ted Stratigos, principal and managing director of Avison Young’s Long Island office, Neil Creedon has been hired. Effective immediately, Creedon becomes a principal of Avison Young and will continue to focus on his specialty of office tenant and landlord representation. 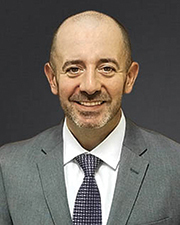 He brings 17 years of commercial real estate experience to Avison Young, most recently as a senior executive director with Colliers International on Long Island. Creedon entered the commercial real estate arena in 2001 as an associate with Sutton & Edwards, Inc. (now Colliers International LI Inc.). During his career, he has negotiated office leasing transactions spanning more than 5 million s/f. In 2016, Creedon was a recipient of Long Island Business News’ “40 Under 40 Award,” which recognizes outstanding members of the business community who are under the age of 40. Past and current clients include: The RMR Group, Winthrop University Hospital, Liberty Maritime Corporation, the Lighthouse Guild, KeySpan Corporation, Sunrise Assisted Living, the Nassau County Finance Authority, Cullen & Dykman LLP, ENT & Allergy Associates, Ambassador College Bookstores, Baker Tilly Virchow Krause LLP, Micro Merchant Systems and Support Claim Services Inc. He has also represented multiple building owners with holdings totaling more than $30 billion in assets. He is active in the industry as a member of the Commercial Industrial Brokers Society of Long Island (CIBS) and the Long Island Real Estate Group (LIREG). In the community, he is active as a volunteer with the John Thiessen Foundation, which provides financial aid, therapeutic and recreational equipment, and toys for sick children. A passionate animal-rights advocate, he volunteers with Pit of Our Souls, an organization that rescues pit bulls, and other animal-rescue organizations. Creedon holds a bachelor of arts degree in Business Management from Molloy College on Long Island, where he attended school on a full baseball scholarship.